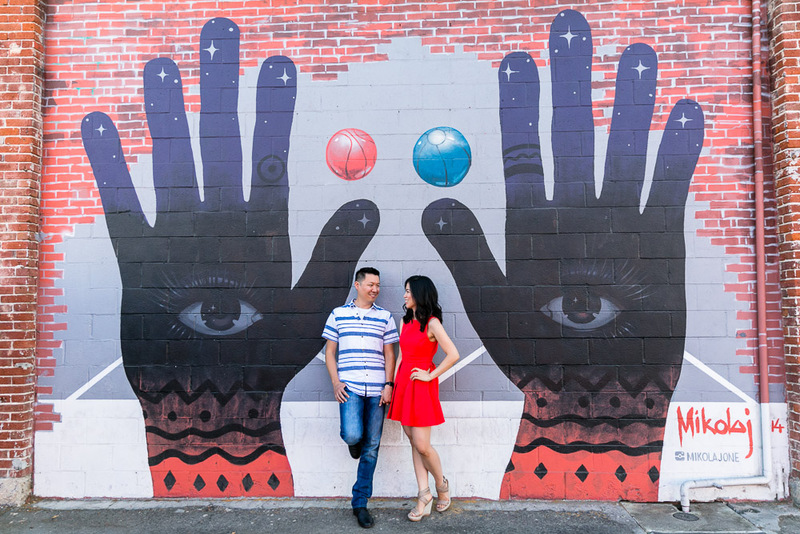 Emily and James are engaged! 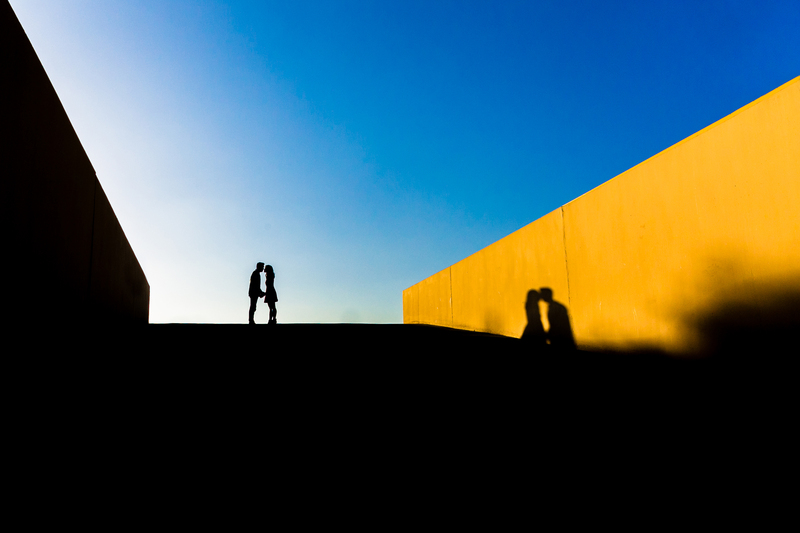 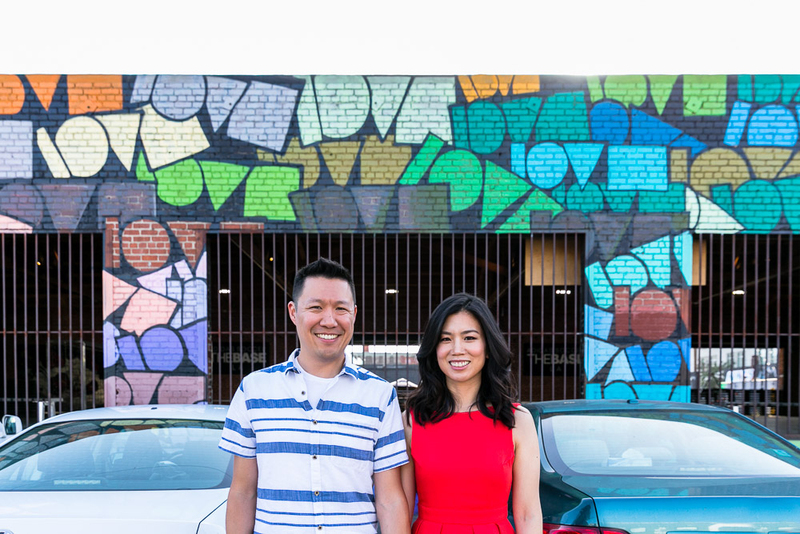 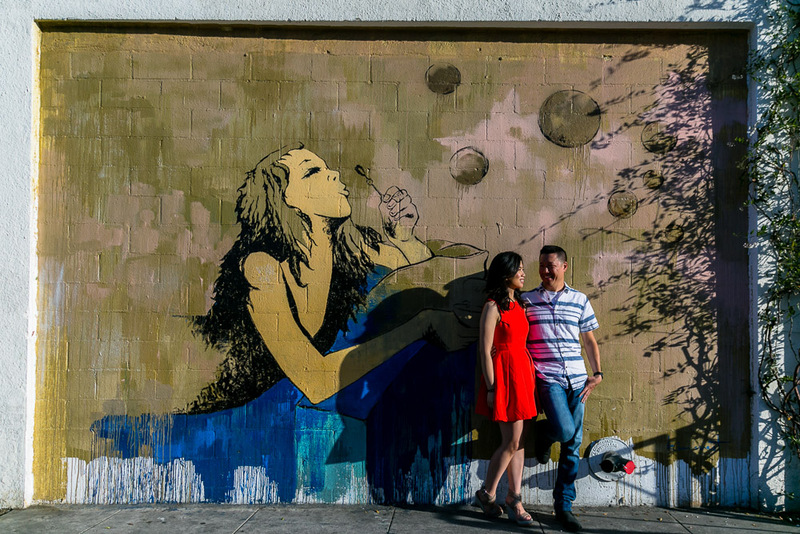 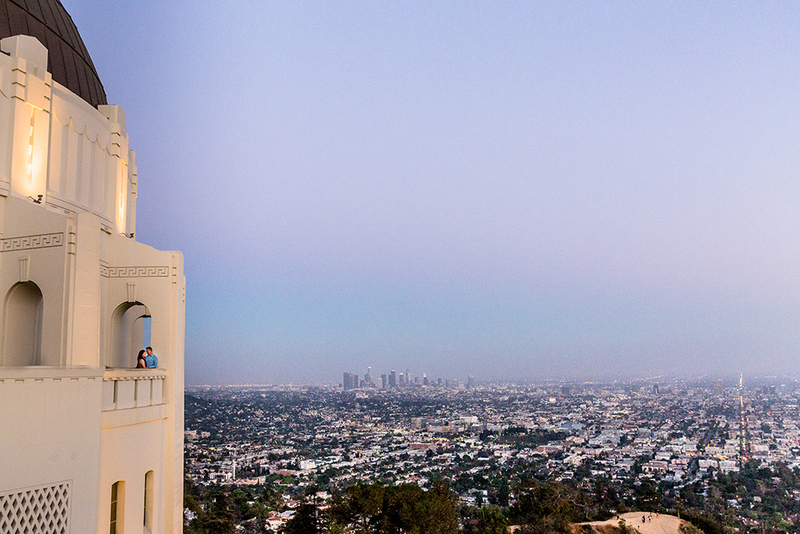 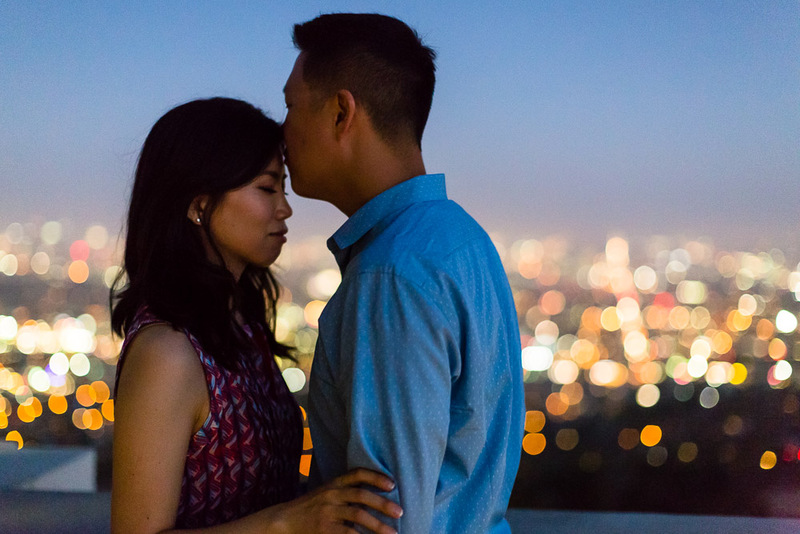 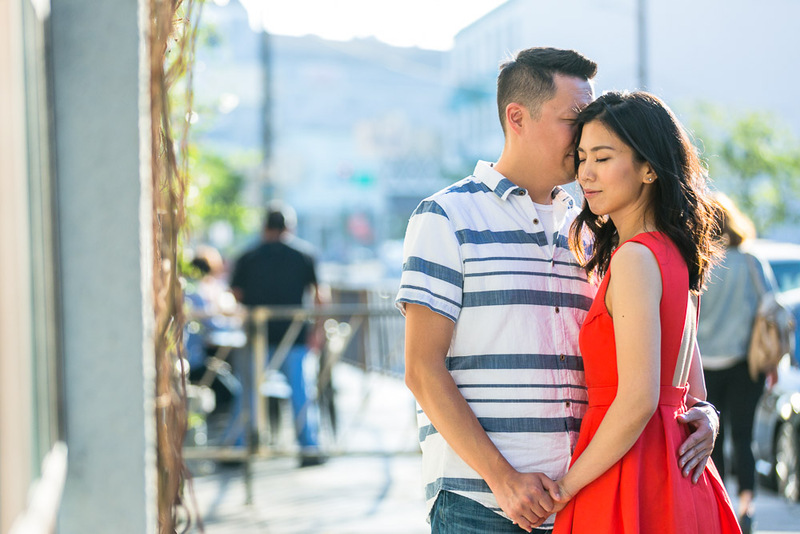 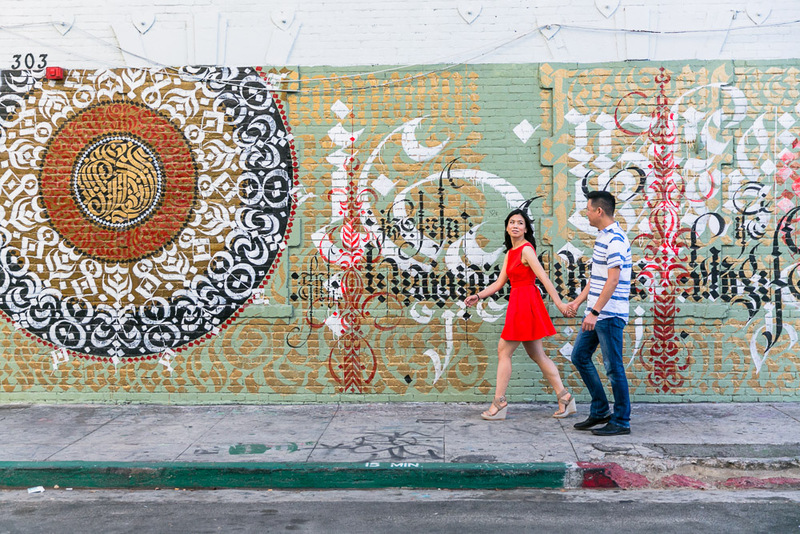 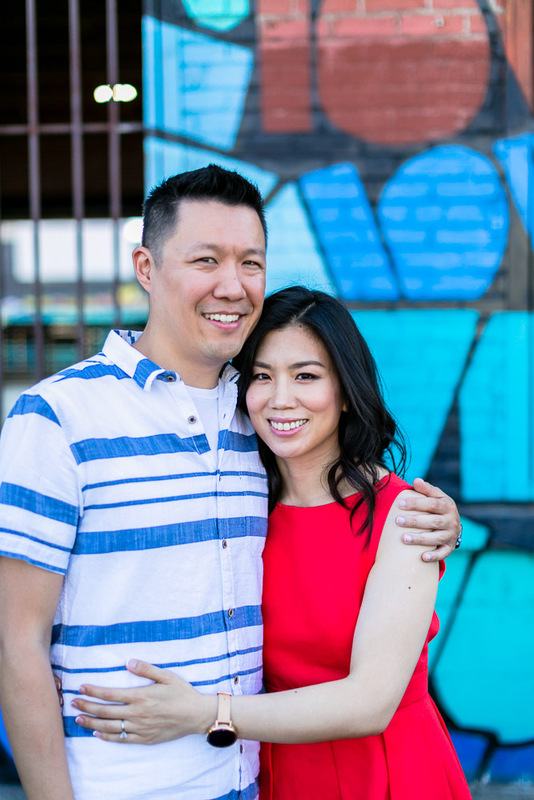 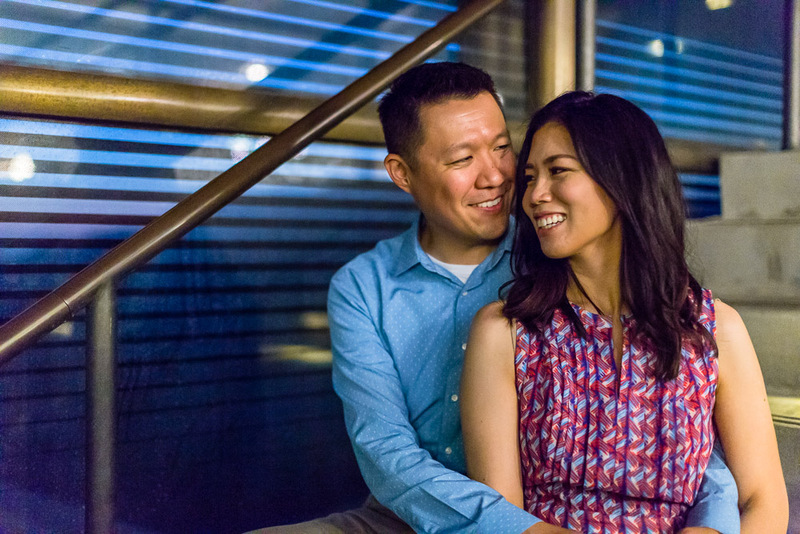 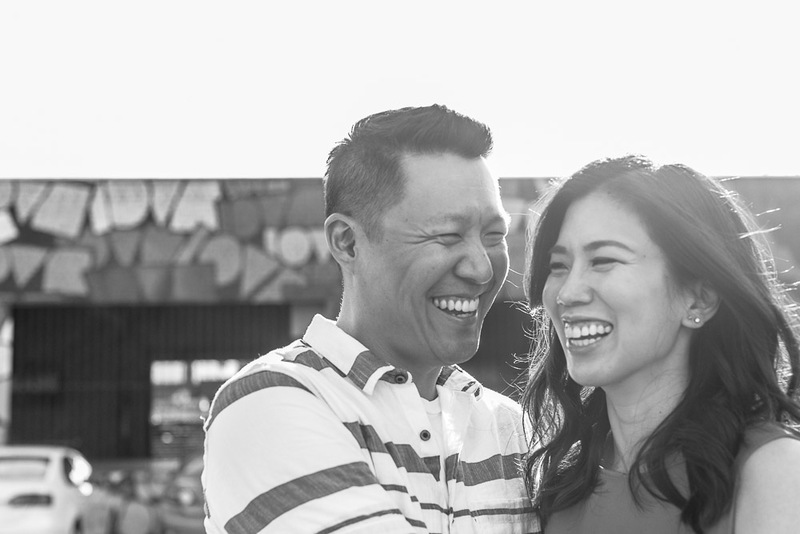 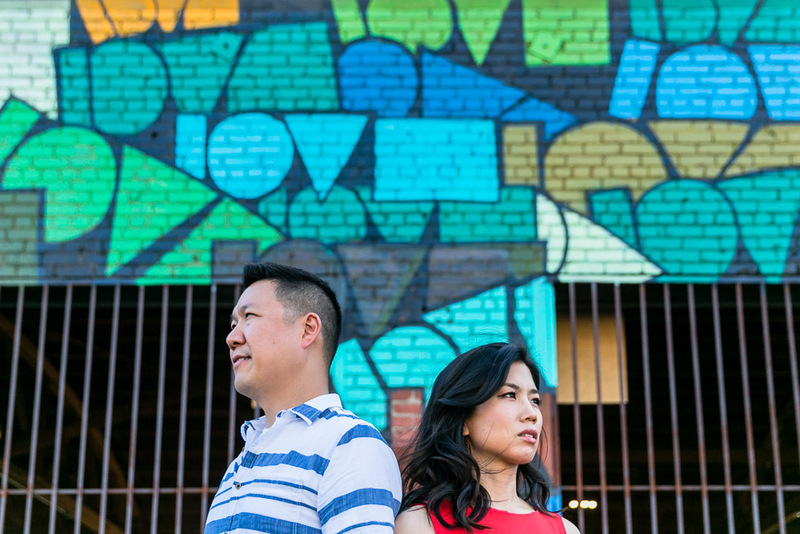 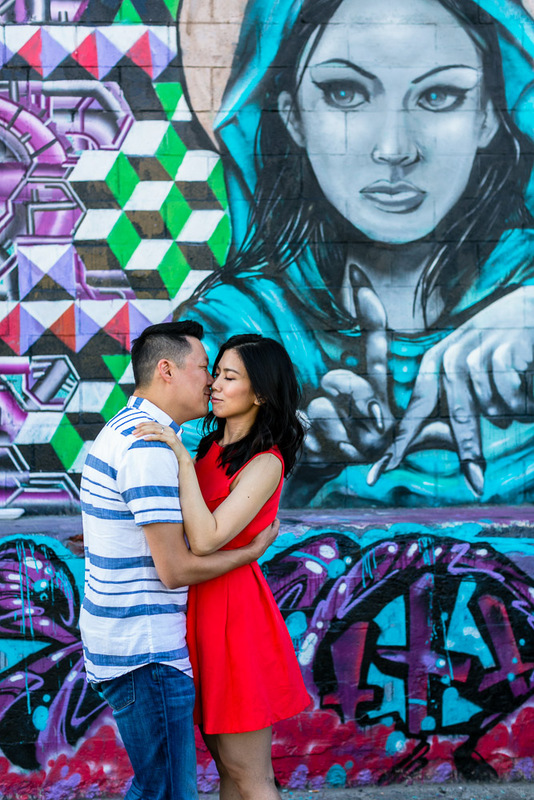 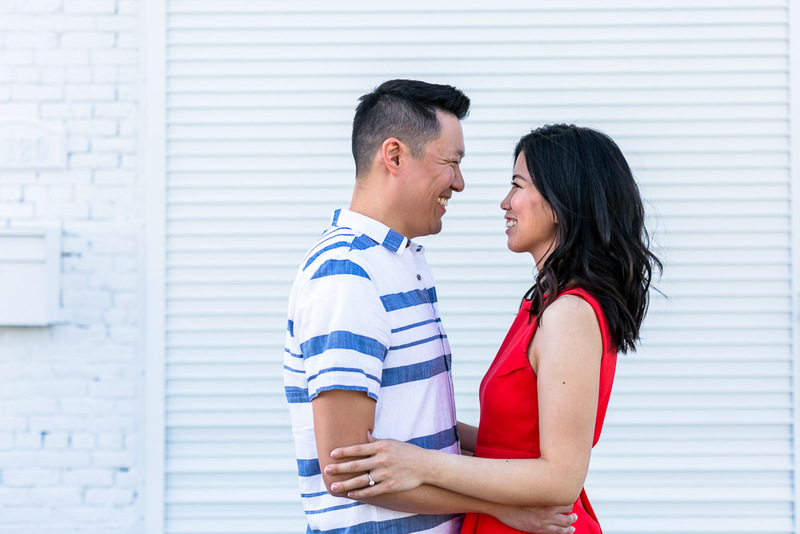 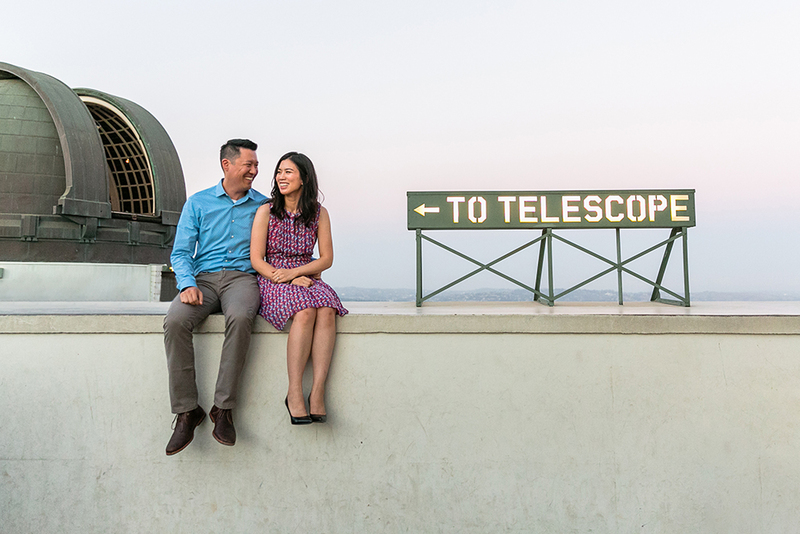 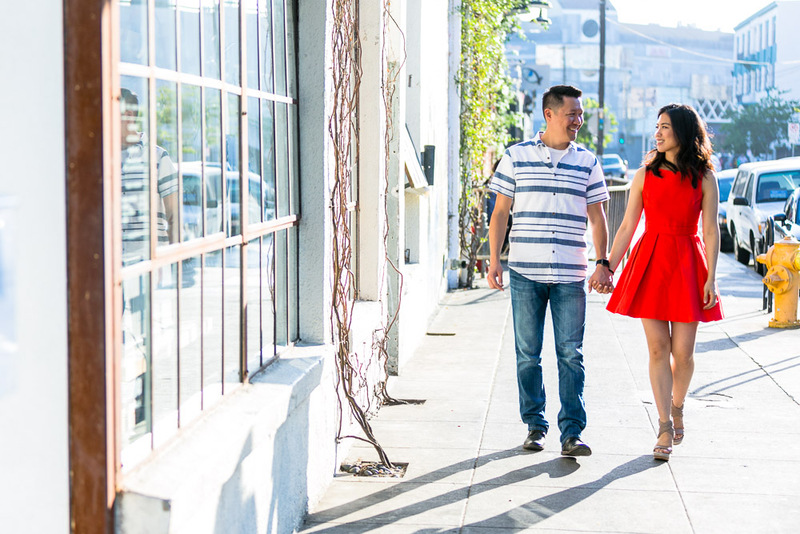 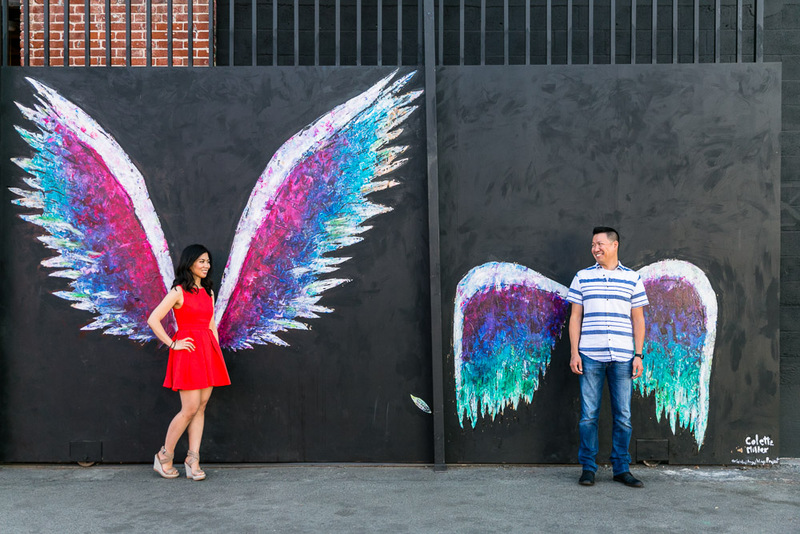 We decided to have an urban style engagement session at the Los Angeles Arts District and the Griffith Observatory. 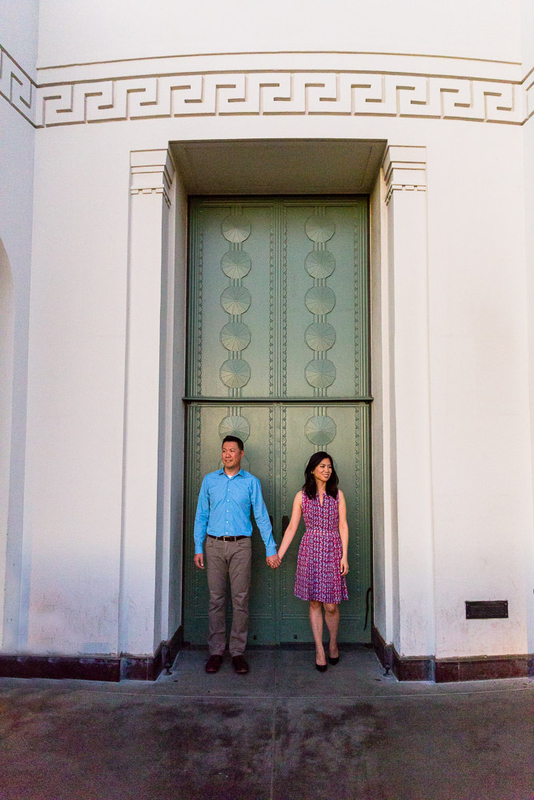 I was excited for this session because of all the pops of color and architecture that I get to incorporate into their photos. 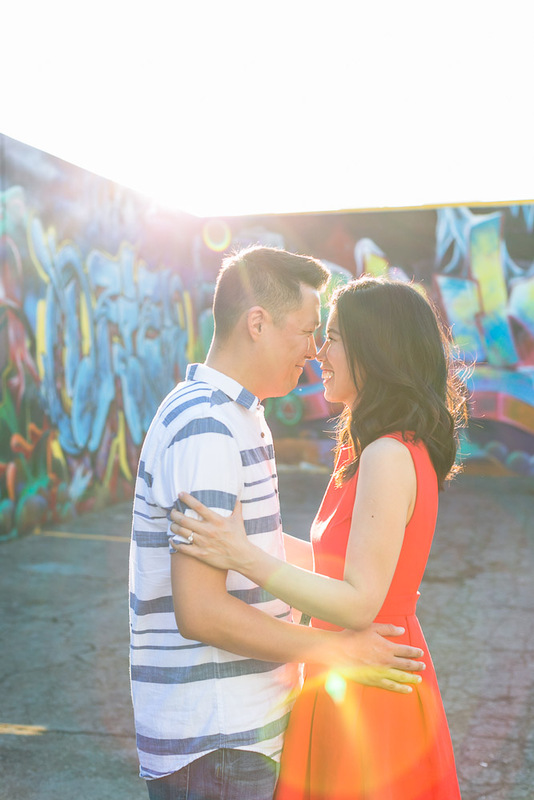 Emily and James were both troopers walking with me everywhere for photos. 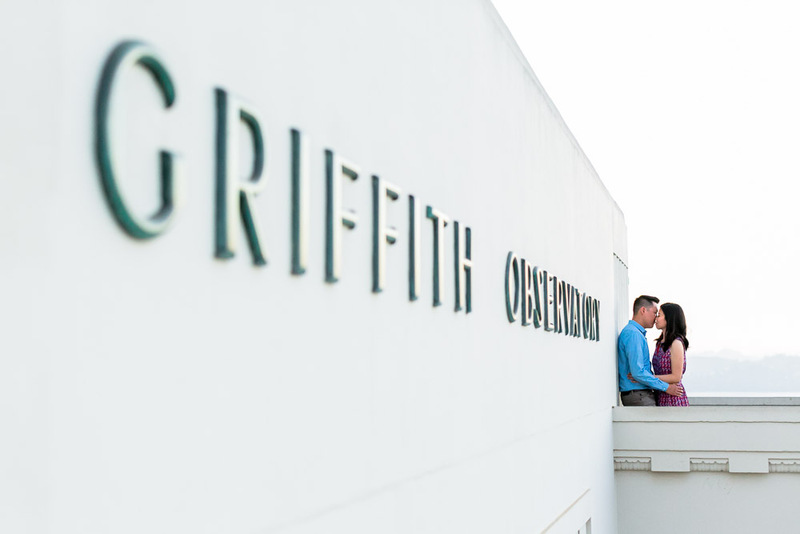 I knew that Griffith Observatory was going to be busy but didn’t expect to walk through a sea of people when we got there but we still managed to get the photos we wanted there. 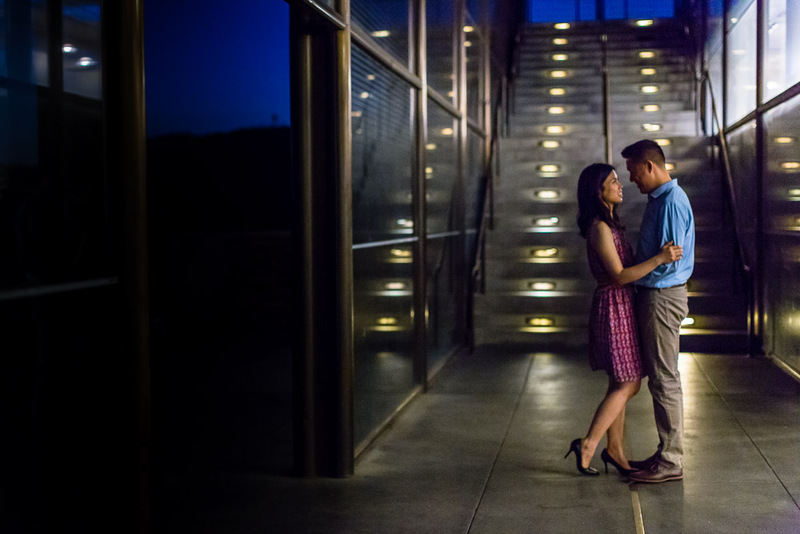 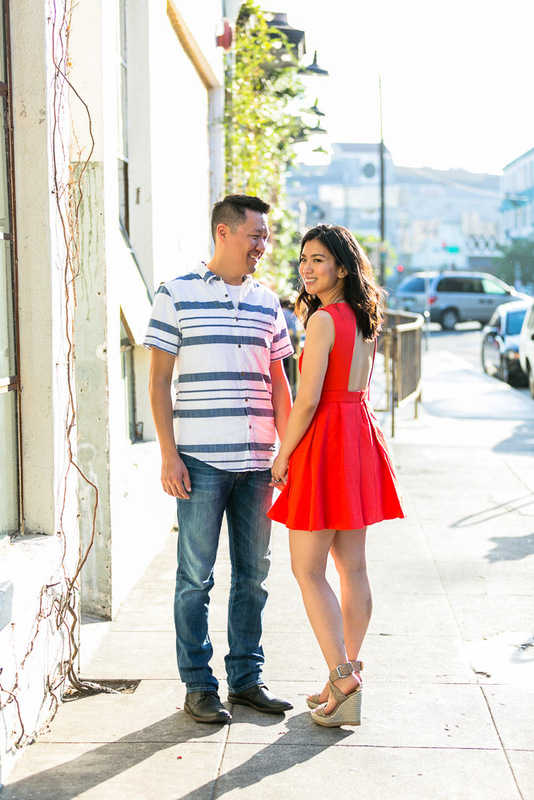 Hope you guys enjoy their session and I can’t wait to photograph their wedding in two weeks at the Fig House! 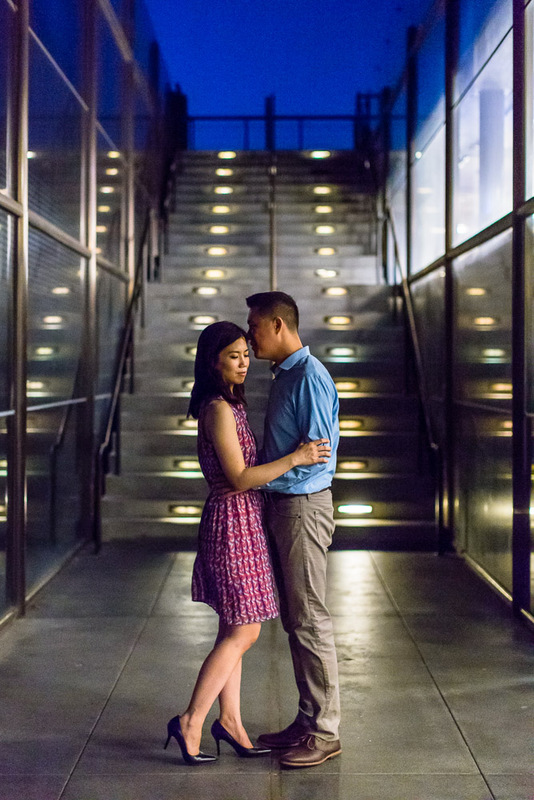 Check out some of my favorites from their session below!